Businesses throughout the world are becoming more and more reliant on technology. As many companies shift their approaches to focus on the digital realm, knowledge of the IT world that supports it should be at the forefront. Yet still, many companies haven’t given their IT support services the attention and dedication they deserve, resulting in an untold amount of frustration and revenue crippling time wasting. The world of technology is expanding at a breakneck pace. Consumers are constantly connected, and with the change in buyer trends comes the need for businesses to meet the technological demand. Of course, businesses only have so many resources to go around. There’s a finite amount of money to be dispersed amongst employees and only so many hours in a workday. As the need for IT support services within the organization grows, the amount of capable employees dwindles. Because of this, many organizations now hire managed IT support companies in Toronto to provide them with the support and managed IT services needed to run their business effectively. No matter the size or purpose of your business, securing IT support services from a trusted third-party provider is key to supporting efficiency and success. Plainly put, managed IT services are a product of companies outsourcing their day-to-day IT support services and management responsibilities to third-party managed IT companies. These managed IT companies then assume responsibility for the administrative duties of IT infrastructures within the organization. Typically, this is done by a company to become more cost-effective and to make the best use of their in-house resources and personnel. It’s become increasingly evident over the past decade that managed IT services have grown to become an essential part of the success of many companies. In fact, the managed IT services market is expected to grow from $180.50 billion to $282.00 billion by 2023, according to a study from business analyst MarketsToMarkets. What do Managed IT Providers Do? Many businesses have begun working with managed IT companies because their in-house IT specialist or departments become weighed down with daily service requests from employees. When these specialists are inundated with questions and problems, they typically have trouble working towards a solution in a timely fashion. At the heart of this is the idea that, by outsourcing these day-to-day tasks to a managed IT company, a business is freeing up their in-house resources to focus on more company specific objectives. The ultimate goal of managed IT companies is to allow the business to focus less on tedious IT work and pour more concentrated effort into company wide initiatives and goals. Increased Security - Sensitive information is stored on more devices than ever before. Smartphones, tablets, laptops, call could be at the center of a data breach. More than 4,000 cyber attacks have occured on a daily basis since 2016 according to the FBI. Managed IT companies focus on safety and security of an organization’s technology infrastructure, and educate employees on prevention steps. Proactive Approach to IT Problems - Many companies have become reactive rather than proactive when it comes to their IT support systems and problems.These companies run to put fires out, rather than putting safeguards in place to ensure they never happen. Business owners have little time to think about their IT infrastructure, so managed IT providers take care of it for them. Better Uptime on Systems - Uptime is, essentially, a measure of system reliability. More specifically, it’s a measure of how long a computer has been working and available. Gain Access to Newer Technologies - In-house IT may become too bogged down with the day-to-day operations within an organization, which in turn prevents them from learning about newer IT solutions. Managed IT providers have their finger on the pulse of the current technology, and can implement it at a moments notice. Savings Over In-House IT - Typically, using managed IT companies for their IT support services is more cost effective than paying an employee’s salary and benefits. Because of this, many assume that businesses utilizing third-party IT providers get rid of their in-house IT support. This is usually not the case, as managed IT companies simply allow internal IT to focus on company specific goals. The two work in synergy with each other. Peace of Mind - Because a third-party IT provider is taking care of the daily maintenance and security of an organization’s technology infrastructure, business owners and management are free to focus their efforts on company objectives without worry. This, in turn, increases revenue and productivity. Efficiency - With a managed IT provider solving problems, in-house IT departments and management can concentrate instead on achieving organizational goals and specific objectives in a far more timely manner. IT departments no longer are slowed down with internal service requests and issues. 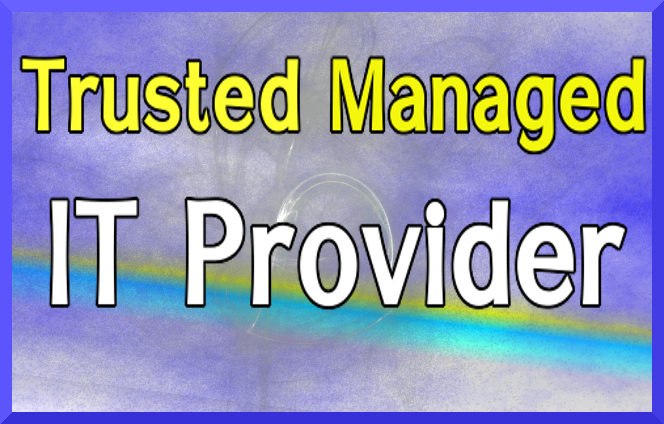 Why Would a Business Use a Managed IT Provider? It’s become increasingly common for a business to outsource their IT support services to a managed IT provider. Even with an in-house IT department, some businesses may simply lack the knowledge or resources to accomplish all of their IT needs on their own. In fact, 64% of organizations now say that they use some type of managed IT services. When an internal IT department and managed IT provider are working in harmony with each other, the business reaps the rewards. The tasks that cannot be handled in house are delegated to the third-party provider. This business structure ensures that nothing falls through the cracks. Disclaimer: It is Sponsored Post. Contact me if you want to promote your Brand/Business/Books/Products/Services through our various websites and YouTube Channel.